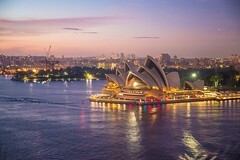 A sought-after destination and the world’s sixth-largest country, Australia boasts a rich history and eclectic cultural variety ideal for a performance tour. 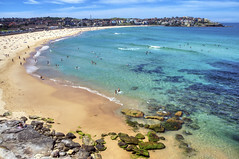 From taking in scenic garden wildlife, to celebrating native aboriginal traditions in the wetlands, walking across Harbour Bridge, and even exploring the uniquely majestic Sydney Opera House, Australia's natural beauty and laid-back lifestyle offers some of everything that performing groups are sure to enjoy. Famous for its indigenous musical traditions and folk life, Australia also has a successful opera legacy around the country, and each of its six states features at least one professional symphony orchestra. As the country's largest cities, Sydney and Melbourne are home to several nationally renowned music institutions, including the Sydney Conservatorium and Australian National Academy of Music. Composer and pianist Percy Grainger, who lived most of his life in the United States and Europe, was born in Melbourne and later founded his own autobiographical museum there, which is still open for visitors today. Once a British colony, Australia offers a mix of new and old, featuring contemporary urban appeal balanced with indigenous traditions kept alive by its citizens who call it home. Come experience life "down under" for yourself and see what awaits your ensemble! We would love to partner with you to develop a customized performance tour program for your ensemble!